Cute new stationery alert! 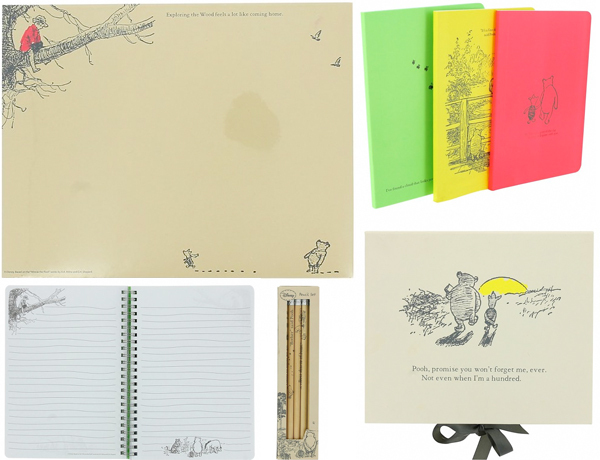 Have you seen the Winnie the Pooh range from Truffle Shuffle? This website seriously is a geeky stationery addict’s dream. I love the recent literary and stationery additions. I think the desk pad is my favourite. My giveaway has now closed but, as I’m still working on my redesign for another week or two, any comments posted on my reader survey are still appreciated. You can find the link to the Google Form here! oh I love pooh bear! I’ve got a soft spot for the traditional illustrations.